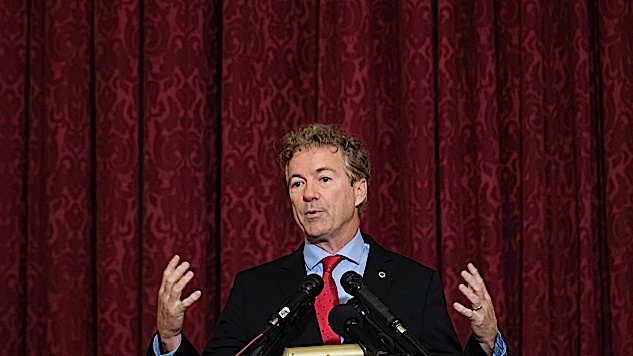 It's Been Three Days since Rand Paul's Neighbor Attacked Him—Why Is There No Explanation Yet? It’s now been almost 72 hours since the tackle, and—unthinkably, in this media age—there has been no explanation for why the hell this happened. Boucher is 59 years old and, like Paul, a doctor (he has also marketed medical inventions on QVC). Some right-wing outlets were quick to point out that he’s a registered Democrat. Outlets like the Daily Caller went further, digging up Facebook posts to show that he was anti-Trump. Boucher posted $7,500 bond and was released from a detention center on Saturday, and Paul has only described it in a statement as “an unfortunate incident.” The FBI is investigating whether there were political motivations at play, but nothing has materialized. In the latest story I could find, from NPR, nobody seems to have any clue regarding motive. Which is essentially meaningless, since it provides no context. Nor is this a minor story. Granted, it was a busy weekend media-wise, but the fact that a sitting U.S. Senator was assaulted at his home, in a time of escalating political violence in America, could be critically important. If I had to guess, the fact that there has been no progress on the story likely means Paul wants to keep it private, which in turn indicates it might be personal in nature. But like everyone else, I’m reduced to guessing. If nothing else, this story represents a profound failure on the part of local journalists. Stay tuned, I guess.